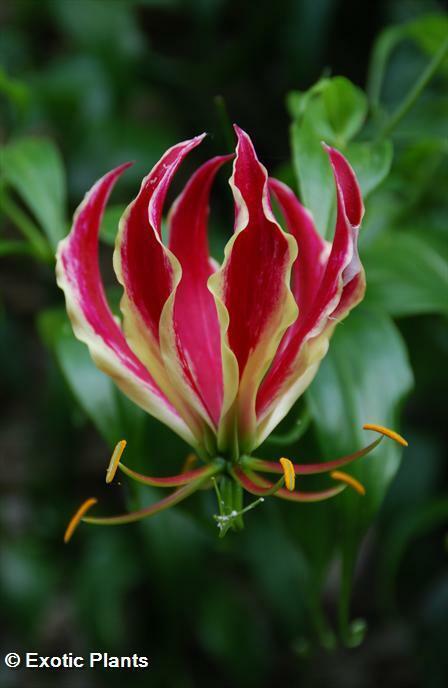 ﻿Gloriosa superba, also called flame lily is a tuberous perennial with sprawling or climbing annual stems to 2 m high. Leaves lanceolate and tapering to a tendril at the tip. 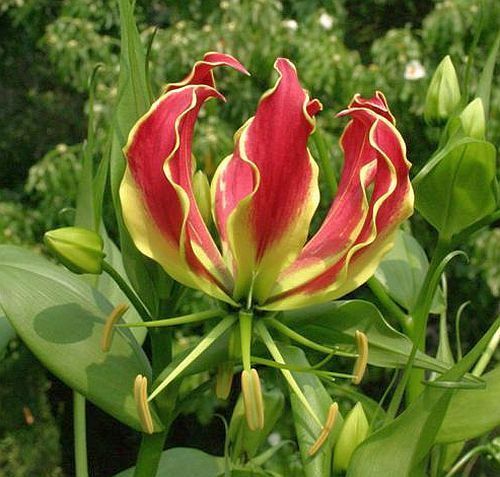 Flowers nodding, shaped like a turk's-cap lily, yellowish to orange and yellow with recurved petals crinkled along the margins, 70 mm long. Quotation: John Manning: Wildflowers of South Africa, Pretoria, 2003. Pictures from zimbabweflora.